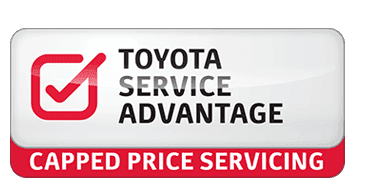 Contact the team at Great Southern Toyota to find out more about capped price servicing. [B20] Maximum payable for standard scheduled servicing (normal operating conditions). Excludes Goverment, Rental, Fleet Not for Profit and Toyota Employee Family Vehicle Purchase vehicles. Contact Great Southern Toyota for other exclusions and eligibility.